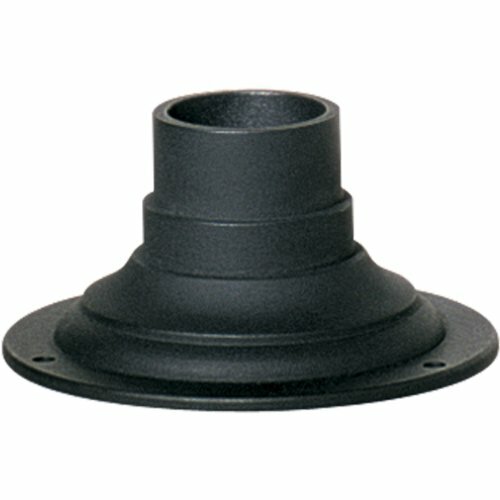 P8726-31 Features: -Post lanterns mounting.-Outdoor.-Polished solid brass.-Mounts post top lanterns on pedestals or walls. Color/Finish: -Black finish.-Cast aluminum and powder coated finish for painted finishes. Dimensions: -Overall dimensions: 3.25'' H x 7'' W.